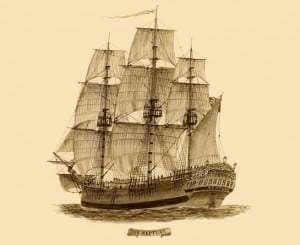 Long awaited ships from England have arrived bringing with them a load of problems far outweighing their aid to the Colony. Lady Juliana arrived June 3, 1790, was found to carry not food but female convicts, mainly elderly and infirm. Justinian, arrived June 20, brought food and news that the principal store ship, Guardian, had founded off the Cape of Good Hope. The ships carried the first detachment of the New South Wales Corps to replace the Marines whose officers object to performing civilian or judicial duties. The Corps under command of Captain Nicholas Nepean, has among its officers Captain Hill, Lieutenant Edward Abbott and Lieutenant John Macarthur. Much indignant comment has been aroused by conditions aboard the ships. For the long journey from Home 1,200 convicts were packed into them. The ships were under charter from private contractors who cut rations to starvation limits and neglect cleanliness in order to save money and increase their profits. The Chaplain, Reverend Richard Johnson, who boarded the transports on arrival and denounced the conditions he saw as horrifying. Convicts lay between decks almost naked and lacking bedding and beds. Many were in irons. Scurvy, dysentery and fever were rife. Reverend Johnson saw poor, fettered wretches die before his eyes. 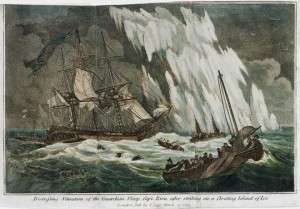 The bodies were thrown overboard and allowed to lie upon the rocks. His Excellency, Governor Phillip has severely censured the commanders of the transports and ordered all bodies to be buried on the north shore. The sick have been accommodated in hospital and in emergency hospital tents. There are 488 persons receiving attention: 267 are reported dead on the voyage. 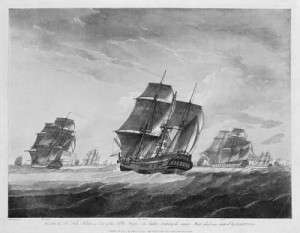 The six ships of the Second Fleet sailed from England in 1789 – 1790 for New South Wales. 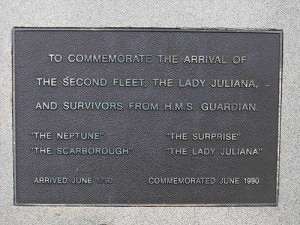 They were the Royal Navy storeship HMS Guardian, a fifth rate frigate of 879 tons, the privately chartered transports Lady Juliana, Neptune, Scarborough (her second voyage), Surprize and the storeship Justinian.